With the Olympics finally coming to an end and with the talk of legacy (grow, sustain..etc) heightening, people are beginning to remember the Commonwealth Games is around the corner (I think). So what better excuse to head to Glasgow! A City part of Great Britain for the time being, but there may be changes on the horizon with 2014 being a BIG year for more than one reason in Scotland (not that politics have too many concerns with sport). Its the 8th World Congress on Active Ageing and people have travelled from across the Globe to the SECC Glasgow, which sits closely to the Hydro (Scotlands future National Arena). 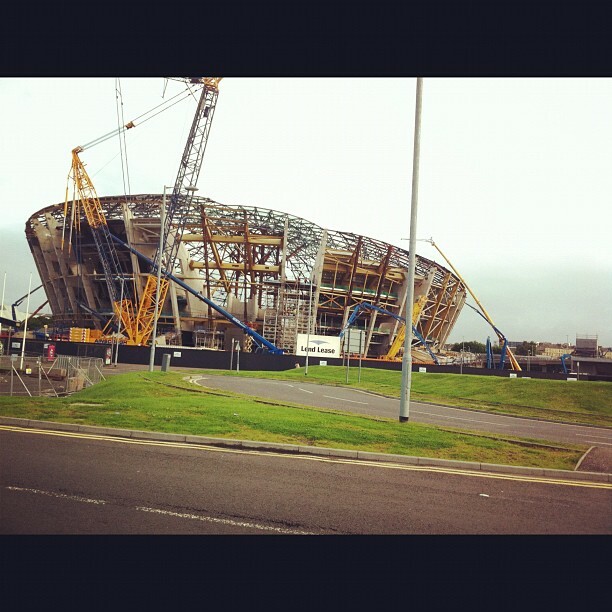 Still under construction, but surely to be something special in 2013. 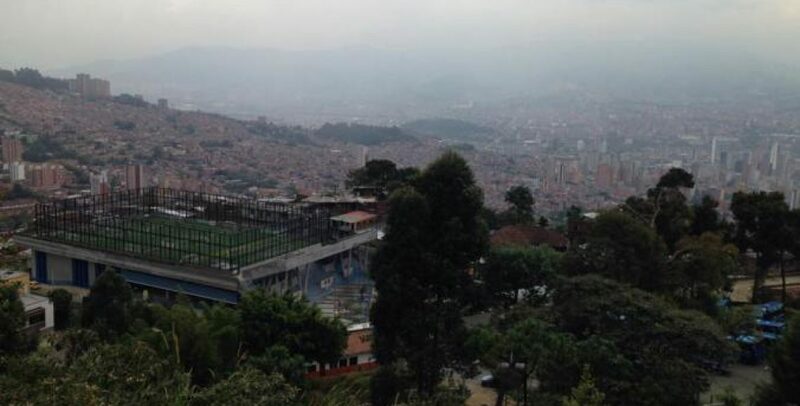 The purpose of my trip was to present two sets of research within a symposium on “Football as a Vehicle for Health”. My topics explored the Fit as Fiddle’s (of Age UK) first project with older men – Fit Fans and research undertaken with the Extra Time project (@TheExtraTime) of the Football Foundation. I was joined by Robert Kielty of Glasgow Cal (twitter @sonofbrien) who was offering a different perspective exploring corporate social responsibility within the Fit Fans in Training project delivered across Scottish Premier League Football Clubs. – Coaches/practitioners have to focus on goal setting that is appropriate to each individual and their daily life; and not engaging in the typical nature of just following national guidance. – The coaches/practitioners ability to develop a rapport and trust was key to the success of the project. – Whilst also be able to effectively deal with the complex needs of older men (i.e., a range of serious illnesss). – The involvement of the FC appeared to contribute favourably to maintenance in the intervention. Interestingly, throughout the conference other researchers alluded to the importance of the role of the coach. Most notably, Mary Ann Kluge from the US to talked about this relating to older female dancers. Whilst, not lauded for their dancing many community football coaches ‘can dance’. Importantly, the message here was that the success of the project was down to the personality, skills and attention to detail of the lead practitioner. The coach is critical! Extra Time is an exciting national project that has been delivered since 2008, initially across 15 English Premier League and Football League Clubs, but growing steadily to 30+ clubs in total. In response to, an ageing population, increased social isolation and poor health in older people Sport Relief and the Football Foundation joined forces each contributing £500k since 2008 to create new social and physical opportunities for older people through Football Clubs. Why Football Clubs? Apart from their (typical) locality in the heart of the community, they are places that have strong local history, a sense of establishment, glamour, often with a sense of belonging which can all assist in engaging older people. • 21% used health services less. • 50% said they felt healthier. • 75% made friends and had fun. • 70% said they found everyday tasks easier. • 92% said their personal happiness was at least satisfactory in the exit survey. • 89% felt they had more people looking out for them. • 81% stated the football connection made Extra Time more appealing. Please take a look at some selected slides from the presentation and please see relevant contacts at the bottom of this post. You can also watch the Extra Time DVD read more about the Extra Time project through some of their key reports here. 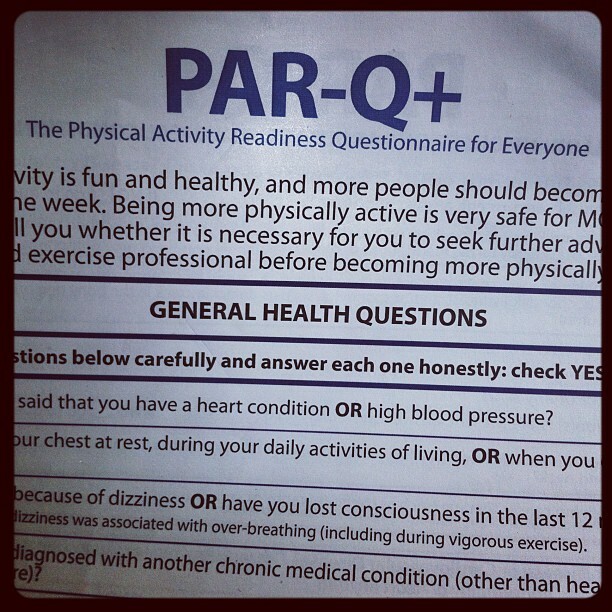 In all, this week has been an insight with plenty of exciting developments discussed including the creation of a new PAR-Q+ (The Physical Activity Readiness Questionnaire for Everyone – see pic). This was presented by Kim Buxton (UK) and hopefully, this evidence based tool will be available for use (official) in 12 months. However there is much to be gleamed from the content developed to date. Having heard recently that theScottish Premier League Trust have secured funding from Comic Relief to go ahead with a project using football clubs to engage older people – this sort of information could really enhance projects. I also like thistoolkit for effective delivery (compliments of the great people at Extra Time) which may be of interest to those developing projects.